Improved Home Protection- CCTV cameras installed in the indoor and outdoor areas of your home are an excellent way of preventing burglaries and thefts. Deters Intruders and Burglars- The presence of CCTV cameras in the outdoor spaces of your home act as a deterrent to burglars, vandals, thieves as well as intruders. 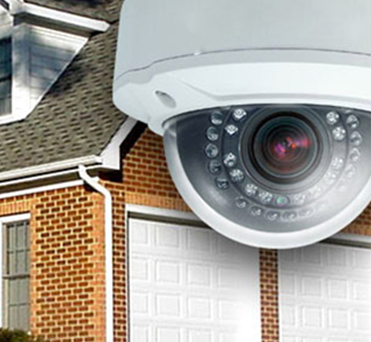 A property that has surveillance is less likely to be robbed and is safe. Helps Keep an Eye on Employees- If you have a nanny, housekeeper or caretaker in your home, having CCTV installations helps keep an eye on their activities. It is a good way of maintaining the safety of your valuables and more vulnerable occupants of your home such as kids and elderly family members. Remote Access- Residential CCTV installations can be monitored even when you are away from home. This is especially useful during the holidays when your house is vacant. You can remotely access and view the footage in real time. This gives you peace of mind that your home is secure while you are away. Connections to security lighting- Many advanced CCTV systems can be used in tandem with security lighting installations and are connected to motion sensors. In totality, this network provides an additional layer of protection to your property. Footage can be used as evidence- In the event of a break-in, the CCTV footage can be used as evidence to identify the intruders. This proof can be presented to the authorities to help nab them. As you can see there are a number of benefits to getting residential CCTV installations for your home. There is a significant advancement in surveillance technology and a large number of brands to choose from. This makes it important to get advice from professionals like us while getting these systems installed. Our team will take all your needs into consideration and provide you with detailed information about the various products. This helps you make a better-informed decision and provides value for money while giving your home the protection it needs. If you are considering getting one of the latest surveillance systems installed on your property, it is important to choose experienced and licensed operators for the job. If you want to know more about these residential CCTV installations, just get in touch with CCTV Installation Melbourne today. You can use our contact us form or call us on 03 8609 6092 and we’ll be happy to answer any questions you might have.